In one of those mysteries of social media, I now get messages from Keith Levene on LinkedIn. So do lots of people, I imagine, but the idea of getting messages from the guy who played the post punk Ur-riff on “Public Image” now on a platform so hopelessly square as LinkedIn is surreal. It’s like seeing Allen Ginsberg in Reader’s Digest or Tim Buckley on Lawrence Welk. Anyway, he sends us these chatty little messages, thoroughly unpretentious, and sometimes includes music. I just listened to his latest, “Never the Same Thing Twice”, and damn, it’s really good. It’s got a real analog, 1977 feel to it, and though it doesn’t sound old, it sounds authentic. Real. Alive. And that, I seem to recall, was what it was all about back then. 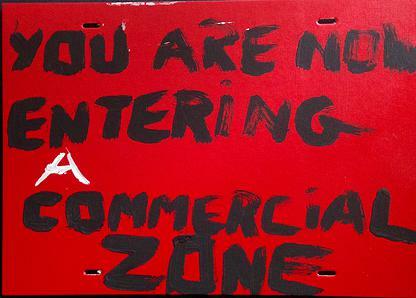 It’s off his new release, he says, Keith Levene’s Commercial Zone. Look and listen for yourself here. This entry was posted in Punk and tagged Keith Levene, PIL. Bookmark the permalink.